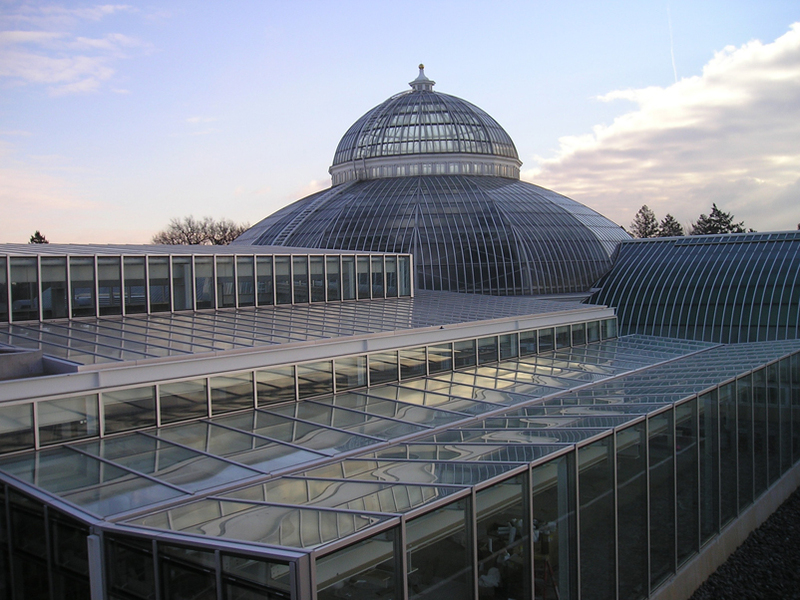 Nestled adjacent to the venerable existing conservatory, the cascading new greenhouse forms contain a fern room, orchid greenhouse and bonsai display room. 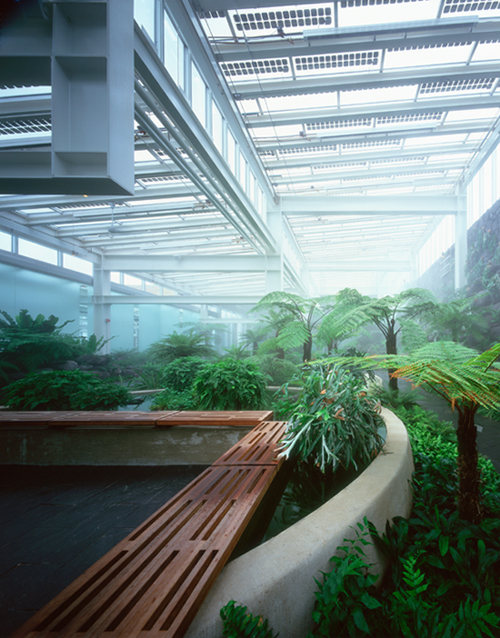 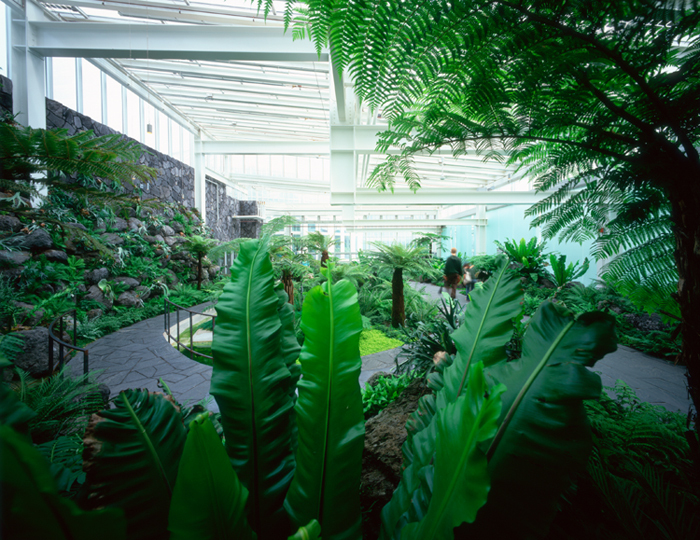 The glass roof of the fern room incorporates photovoltaic electric panels designed to provide optimal dappled shade for fern growth. 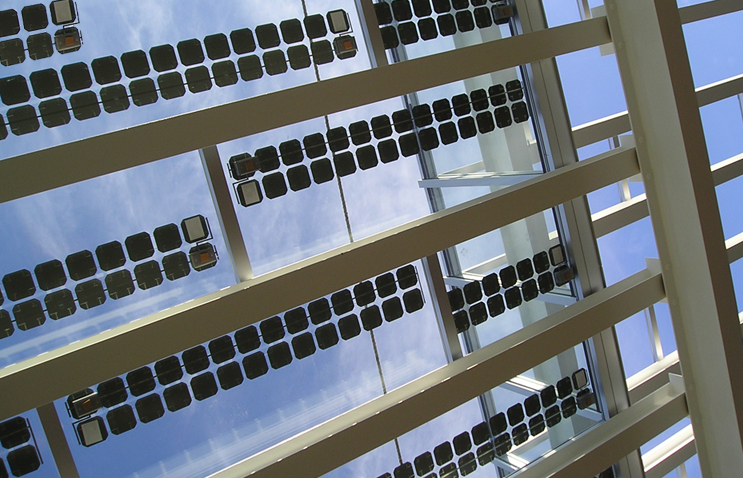 Electricity generated by these panels provides power for green house functions.